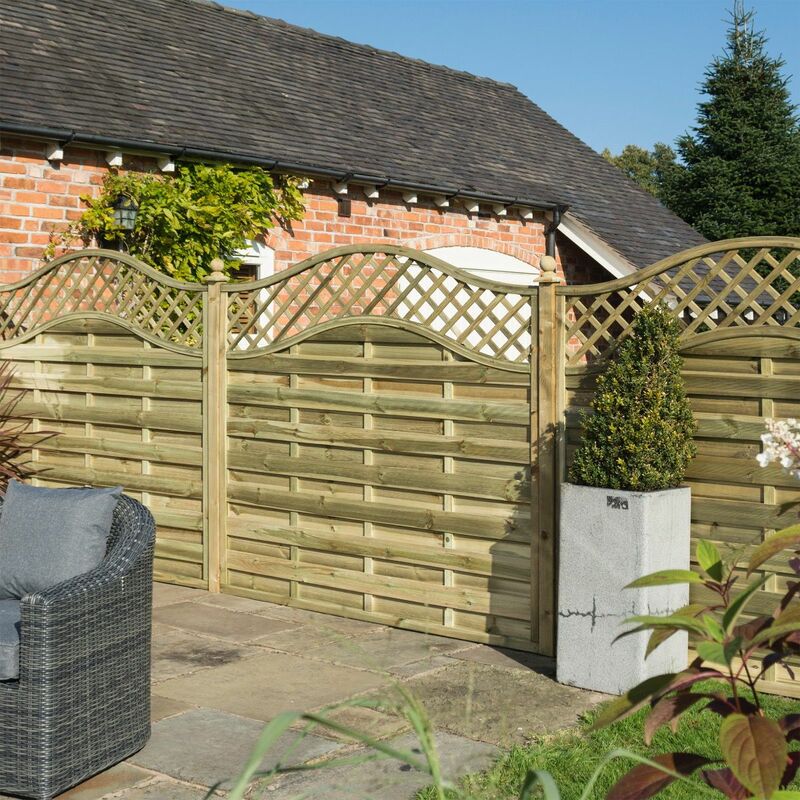 The Grosvenor wooden fence panel is an excellent choice for any homeowner looking for a high quality fencing solution at an affordable price. 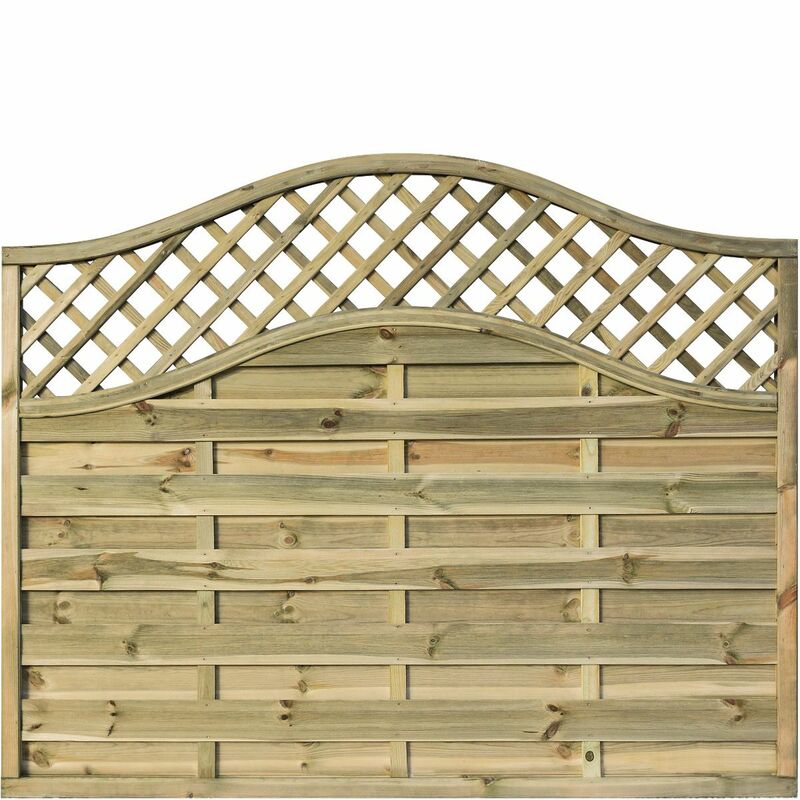 Manufactured from long lasting pressure treated timber to ensure better protection against the elements, this continental type fence panel will make a great addition to any garden setting. With an attractive lattice weave style construction combined with an arched top and lattice detailing the Grosvenor is set to become one of our best-selling designs. Please note you will need to order a minimum of 3 x panels to qualify for home delivery. You are free mix and match between the Grosvenor fencing panel sizes to meet this criteria.